IS IT SUPER ENERGY-EFFICIENT IN HERE OR IS IT JUST US? Want to push your cooling unit’s efficiency to its highest level? It’s as easy as making sure you have the right fan coil to match. 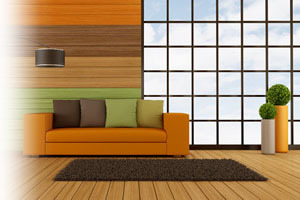 When you do, you could see improved HSPF from your heat pump, a jump of up to 2 points in the SEER rating of your air conditioner or heat pump —and an equally dramatic improvement in your utility bill. GET A BETTER HANDLE ON YOUR ENERGY BILLS. If you’re like most people, you’ve never given a second thought to your fan coil. Or even a first thought. But perhaps it’s worth your time. After all, our variable-speed fan coils are designed to save on your cooling and/or heating costs. Plus, we have a range of options to fit your system, your efficiency requirements and your budget. Take that, energy bills. Our Infinity fan coil is an essential companion to an Infinity system outdoor unit when there’s no furnace inside to move the air. It’s designed to communicate with the Infinity control which can automatically adjust your heating and cooling stages to ensure the highest levels of comfort and energy efficiency. In fact, its variable-speed blower motor will help you feel cooler at higher temperatures in the summer thanks to Ideal Humidity System® technology. Plus, with an Infinity control and heat pump outside you can have warmer air from the register indoors during those cool months. Our ultra-quiet Performance series promises efficiency, consistency, durability, and other words that end with “y.” Like comfy and cozy. Featuring a variable-speed blower motor, it’s able to keep a more even temperature throughout your home. Paired with the right thermostat, it offers Ideal Humidity System® technology so you can feel cooler at higher temperatures in the summer. And, if your outdoor unit is a heat pump—warmer air from the register. That leaves everyone feeling happy. 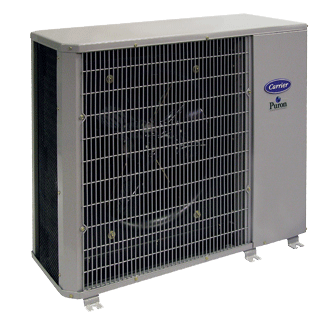 Our Comfort series fan coils are an economical and durable counterpart to a Comfort air conditioner or heat pump when there’s no furnace indoors to move the air. They come with either multi- or fixed-speed blower motors to deliver cooling or heating comfort to your home for years to come.